Russell Wilson and Ciara are pocketing their babysitter dough tonight — no need for one when you have to attend a Hollywood event that’s actually for the kids. 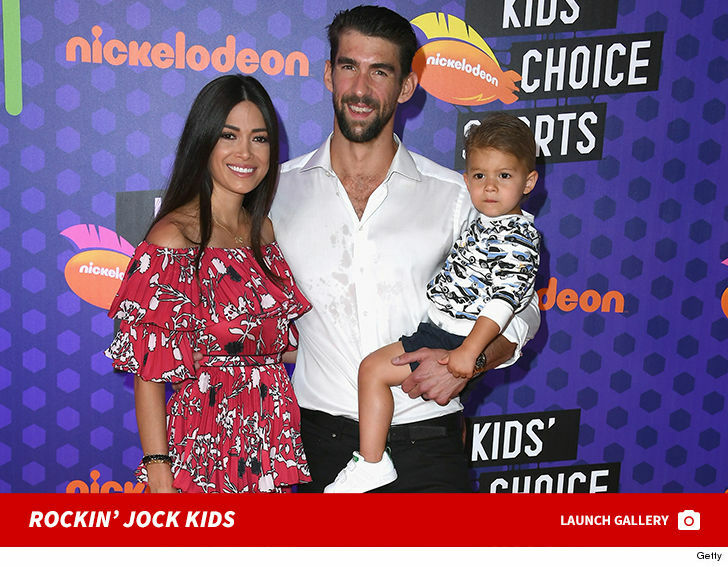 Ronda Rousey and Travis Browne, Michael Phelps and Nicole Phelps also showed up — families in tow — for the Nickelodeon Kids’ Choice Sports Awards Thursday night in Santa Monica. Kinda the perfect award show follow-up to the ESPYs. In fact, ESPYs host Danica Patrick is also at the Nick event with her bf, Aaron Rodgers. They don’t have any kids, but they look damn good on camera, so … good enough.